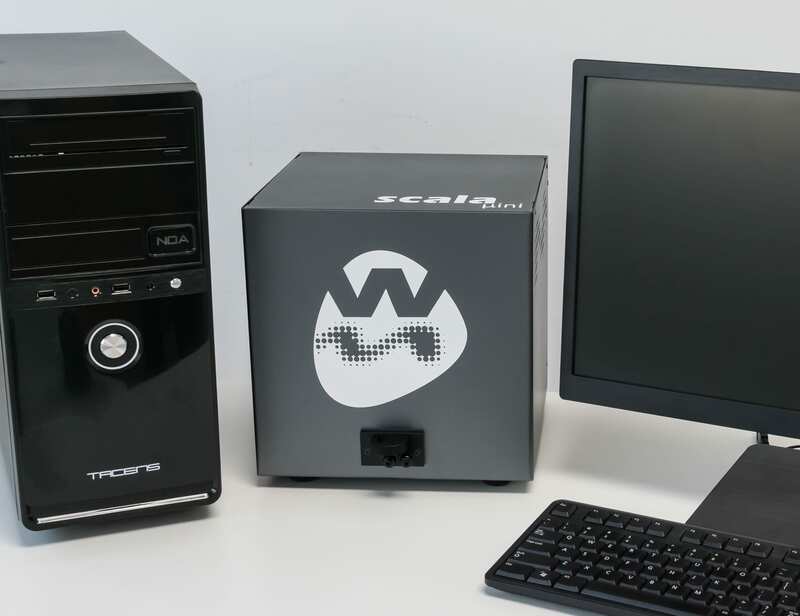 SCALA µini is the ideal instrument for single-chip characterization. SCALA µini was developed to characterize a single chip, in static or dynamic modes, and it can also be used to measure the thermal noise and frequencies associated with each cantilever. The platform is ideal for sensing, based upon its ability for profiling and dynamic analysis. An important aspect of the platform is that it can measure the deflection and vibration of practically any make or manufacture of cantilever, and is a simple yet powerful tool that can be used to get quick, reliable results for small to medium-sized research groups or laboratories. This platform is based upon the plug-and-play philosophy – simply load the chip into the holder tray, press the start button, and SCALA µini automatically detects all cantilevers’ deflections and dynamic behavior, according to the preprogrammed experiment´s instructions. NO complicated procedures required! Make sure to check out these information resources about SCALA µini.